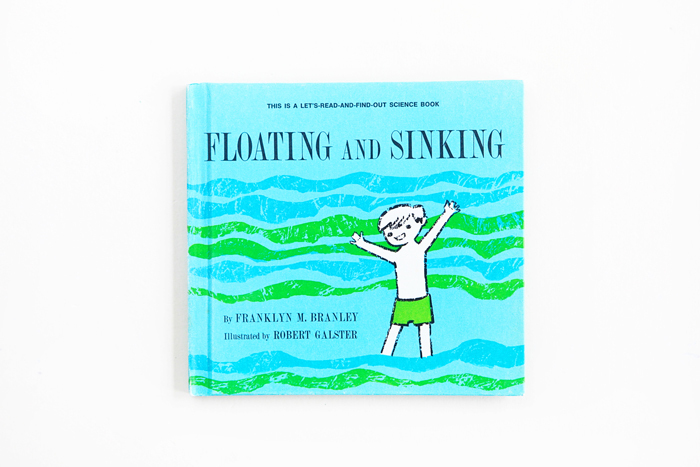 Sharing this vintage find from Etsy: Floating and Sinking by Franklyn M. Branley and Robert Galster. Franklyn Branley was a prolific writer of science books for children. In Floating and Sinking, he sheds light on the scientific mysteries of buoyancy and why some things float and why others sink. He also proposes an experiment that kids can try at home using a couple of bottles, sand and a pan of water. I love the bright, crisp aesthetic and mid-century modern sensibilities of Robert Galster’s illustrations.